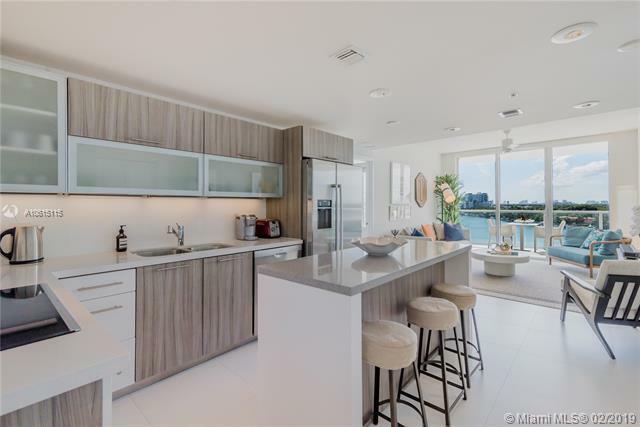 Enjoy magnificent Bay, Intracoastal and Miami Skyline views from every room of this beautifully designed 2BD 2BTH located on the bay. 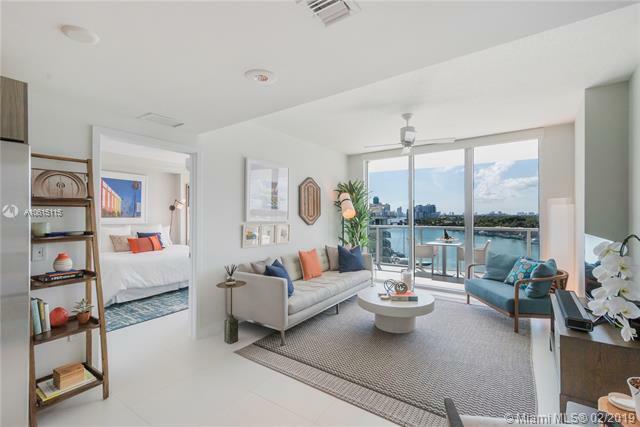 Unit features split floor plan with porcelain floors throughout, custom eat-in kitchen with quartz counters, Italian cabinets, Bosch appliances, washer/dryer. 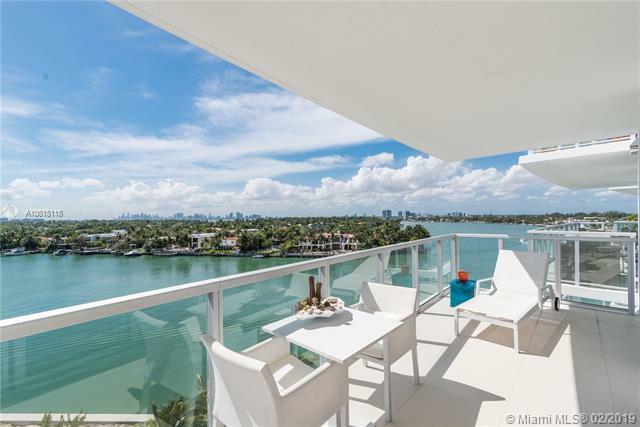 Oversized, wrap around balcony is an extension of the living area and ideal for entertaining, relaxing and watching incredible sunsets. Window shades and built-in closets in every room. Unit is being sold furnished. A secured, boutique building offering great amenities: fully equipped fitness room, pool, hot tub, cabanas, social room, valet and front desk. 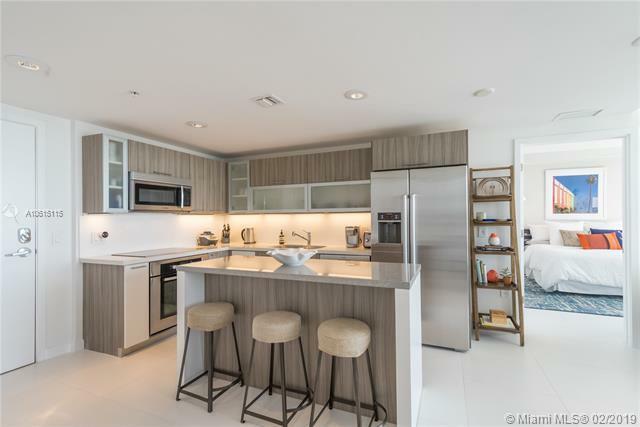 Centrally located just one block from the beach, restaurants, shops.